Encaustic kitchen tiles mosaics in STOCK deliver in only 7 days! Direct sales. Lovely victorian kitchen tiles photos sent to us by our happy clients. The Victorian hearth tile is perfect for kitchen floors Thanks to it's anti-slip surface. 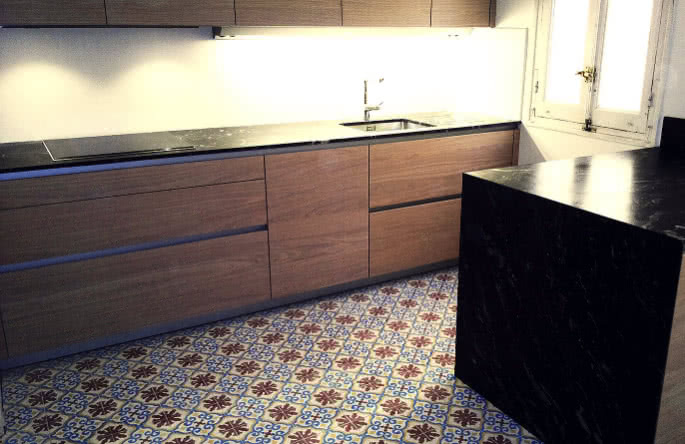 These tiles can make your kitchen have a unique style. Vintage farmhouse, modern, industrial... You name it! Our bespoke tiles are made by everyone and for everyone!